The struggling Hawks head to TD Garden to take on the Celtics, a team that can’t seem to finish off opponents in their home arena. These two teams faced off just over a month ago on November 23rd. Boston won that game in Atlanta with a late rally, 94-87. The Celtics have had a hard time holding leads as of late. They blew two double digit leads against Detroit and Washington, before barely finishing out a victory against the Cleveland 103-100 after nearly blowing a 22-point lead to move their record to 13-17. The Atlanta Hawks may struggle heavily with the loss of center Al Horford for the season due to a torn pectoral muscle. He now faces surgery and a long road to recovery. Horford was the Hawks leading scorer this season with 18.4 points per game. Tonight’s game will be their third without the All-Star center. They have gone 1-1 since losing him to injury, including a win against Charlotte on Saturday and a 109-102 loss at the Orlando on Sunday evening. They are still much in the thick of it in the Eastern Conference with a 17-14 record. 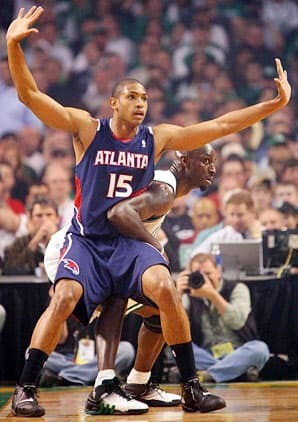 While the Hawks were one of better teams in the East with Horford, I think their slide is about to come in a big way. Their defensive and offensive prowess and rebounding will suffer mightily without him. Atlanta has lost six out of their last seven games on the road and is playing passionless basketball since the injury. The Celtics issues with closing out games is something to be concerned about, but they have been in nearly every game till the final buzzer as of late and should be able to put up strong numbers offensively in this one. I think this is an easy double digit win for Boston as they get back on track in front of their home fans. Two of the Western Conference’s best teams will face off Tuesday night as the now Russell Westbrook-less Thunder welcome the Trailblazers to Oklahoma City. The Thunder will try and increase their division lead over Portland in the Northwest Division which currently stands at 2.5 games. OKC has won their two games without Westbrook who will be out at least until after the All-Star break due to knee surgery. Filling in for Westbrook is backup point guard Reggie Jackson, who had 16 points and eight dimes in the Thunder’s 117-86 win against Rockets on Sunday. Oklahoma City currently boasts the best winning percentage in the NBA and a 25-5 record. While Portland hung their hat on their defense early-on in the season, most of their recent losses have been because they can’t stop their opponents. The Blazers allowed New Orleans and Miami to shot over 52 percent in two back-to-back losses. The Pelicans put up a strong offensive performance Monday night winning 110-108 at home against the Trailblazers. Even they though they have suffered a string of defeats, the Trailblazers have been one of the league’s most surprising teams this season. They are tied with the San Antonio Spurs at 24-7 for the second-best record in the Western Conference. These two teams played on Dec. 1st, a 111-103 Portland victory. LaMarcus Aldridge had a season-high 38 points in the win, and Kevin Durant scored 33 points in the loss. I think Portland is getting a little too much respect in this spot, especially with their recent troubles. 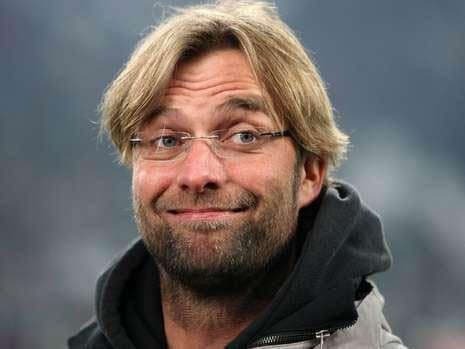 They are coming off two rough losses, one of them which was last night. Playing on back-to-back nights is tough, but especially harder when playing a high-powered offense, like the Thunder’s. Even with the injury to Westbrook, Oklahoma City has hit the ground running and have been strong defensively as of late, as well. I think the Thunder put on a clinic and this one and welcome in the New Year with a win. In a mismatch of futility on the road, versus excellence at home, the slumping Cavs head to Indiana to take on the Pacers. Indiana has more home wins than any other team in the NBA season and has just lost one game in 15 matchups on their home hardwood. The Pacers have been extremely strong defensively this season but even better at home. They are surrendering just 84.5 points at home, the lowest in the NBA. Continuing their trend of strong defensive play and excellent team basketball, Indiana beat up on the Brooklyn nets this past Saturday winning 105-91. All five Pacers starters scored ten points, or more and Paul George led all scorers with 24 points. The win moved their record to 24-5, the best record in the Eastern Conference. It has been much tougher for Cleveland, a team that has lost five straight games overall and are a team in turmoil after suspending center Andrew Bynum from the team indefinitely. The Cavaliers have been one of the most disappointing teams this season, after an offseason of hype. They lost 108-104 in overtime to Golden State on Sunday dropping their record to 10-20 on the season. They have continued to have trouble finding a reliable scoring option for point guard Kyrie Irving, who leads the team in scoring with 22.6 points. With the Cavaliers recent scoring woes and poor road play, and Indiana’s strong defense at home, I think this total is a little too high. I could easily see this game being a 90-80 game with the Pacers just doing enough to win and heading off to party in the New Year. Their slow pace will keep their point total under 100, and they should stifle the Cavaliers defensively in this one. In a previous matchup this season on Nov. 3rd, the Pacers won 89-74 in a game where guard DeShawn Stevenson scored 22 points. Take the under.